Kirsty Lang reassesses the art and life of Alfred Munnings, a painter largely known as a crusty reactionary, as a new film focuses on his youthful passions in an artists' colony. The artist Alfred Munnings is best remembered as a painter of English rural scenes and horses. An ill- judged speech to the Royal Academy in 1949, in which he attacked Picasso, Henry Moore and modern art in general, led him to be seen as a reactionary and conservative figure. But a new film about his early life, Summer in February, reveals another side to Munnings. 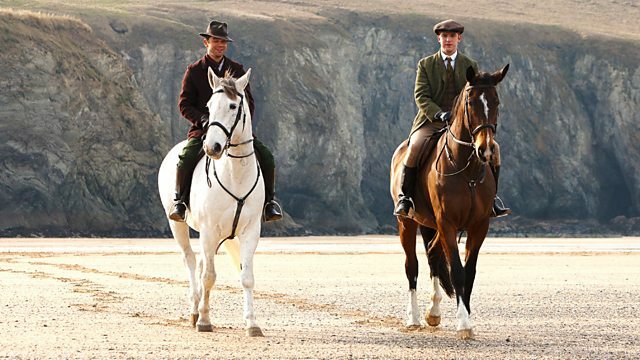 Set in an artists' colony in Cornwall, the film explores the bohemian existence and love affairs of painters including Sir Alfred Munnings and Dame Laura Knight before they became established. Kirsty Lang discovers the love triangle that tore young Munnings's life apart and asks whether his outspoken views and traditional approach to art in later life has led him to be overlooked as a painter.